Bellator MMA and UFC fighters continue to jump from one organization to the other in search of the best deals and more opportunities. And ex-Bellator fighter Marcin Held is the latest to make the leap. Nearly two weeks ago (Aug. 18, 2016), former Lightweight No. 1 contender Marcin Held announced that he and Bellator MMA had agreed to part ways. 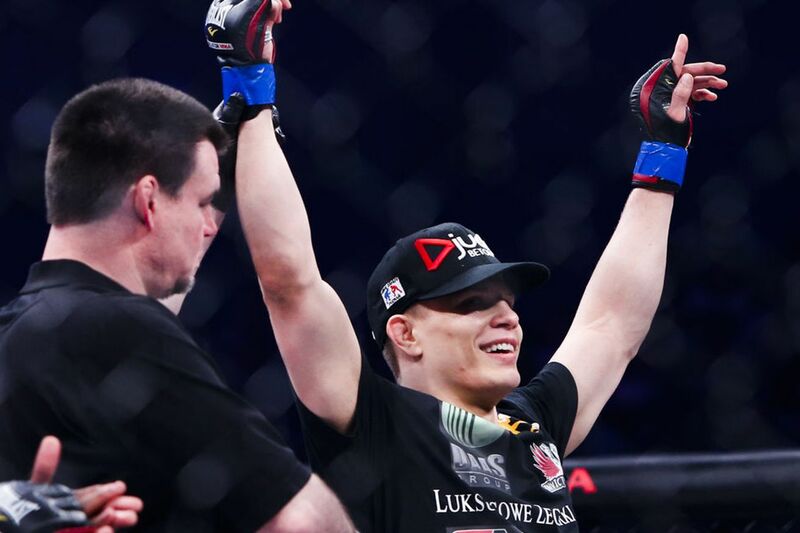 The “Polish Prodigy” competed 14 times for the mixed martial arts (MMA) promotion, dating back to 2011 and dropping just three matches during that span. His final fight for the promotion was a chance to avenge one of those losses as Held defeated Dave Jensen via unanimous decision at Bellator 155. Now, the Bellator Season 10 Lightweight tournament winner potentially has the chance to avenge another inside the Ultimate Fighting Championship (UFC) Octagon after recently announcing he struck a deal to switch sweaters. Former Bellator Lightweight champion, “Ill” Will Brooks, signed with UFC before Held earlier this year. That means the two could meet again if they continue their winning ways, giving Held the opportunity to avenge his unanimous decision loss to the then-champion back at Bellator 145. However, Held will have some catching up to do since Brooks already has a UFC win over Ross Pearson, but Held, 24, appears more than ready — and able — to start “climbing to the top” in a whole new organization.